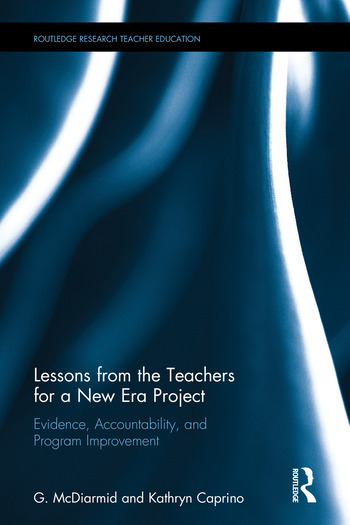 Chronicling a high-profile and ambitious teacher preparation reform project that took place across 11 diverse U.S. institutions, this volume examines the strategies, program changes, accomplishments, and challenges from the Teachers for a New Era Project (TNE). TNE aimed to improve the preparation of K-12 teachers and address mounting criticisms of university-based teacher education. Funded primarily by the Carnegie Corporation of New York, TNE targeted the most persistant problems in university-based teacher preparation programs, focused on evidence-based assessment of program impact, and developed strategies for improvement. Exploring both the successes and tensions that arose from the program, this book contributes to future teacher education and program assessment endeavors, and offers lessons that can inform current policies and practices. G. Williamson McDiarmid is Alumni Distinguished Professor of Education at University of North Carolina at Chapel Hill, USA. Kathryn Caprino is Assistant Professor of English Education at the University of Florida, USA.